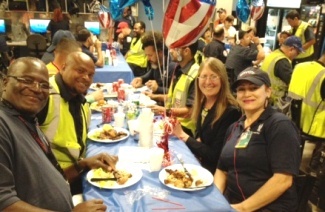 The Envoy team at Miami International Airport (MIA) recently gathered to celebrate their commitment to safety – having achieved full year without damaging a single aircraft. More than 100 employees stopped by to enjoy a full barbecue lunch, festively served up by the management team. Keep up the great work, Team MIA! « Bravo Christopher Rhodes and Troy West in FSM!